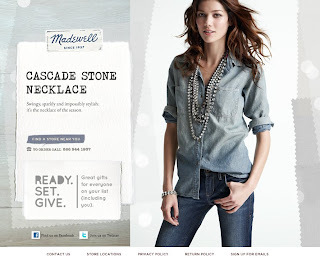 I love Madewell. Love, love, love it. And when I received this today, I FELL IN LOVE WITH THIS NECKLACE!! Strands & strands of sparkle…a perfect holiday treat! !